‘선정(宣政)’이란 ’정치와 교육을 널리 펼친다‘는 뜻이며, 선정전(宣政殿)은 임금의 공식 집무실인 편전(便殿)이다. 편전이란 임금과 신하가 정치를 논하고, 유교경전과 역사를 공부하는 곳을 말하며. 이곳에서 임금과 신하들이 정치를 논하는 것을 ‘상참(常參)’이라고 한다. 상참에 참여할 수 있는 신하는 3품의 당상관 이상 이다. 이처럼 그 용도가 매우 중요해서인지 다른 전각들과 달리 지붕도 청색 유리기와로 덮은 청기와인데 이 기법은 중국에서 도입한 것으로 ‘회회청(回回靑)’이라는 비싼 안료를 외국에서 수입하여 청기와를 구웠다고 하며, 선정전은 현재 궁궐에 남아 있는 유일한 청기와집이다. 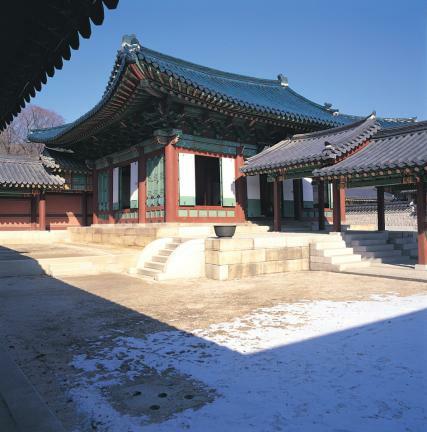 지금의 선정전(宣政殿)은 인조 25년(1647)에 광해군이 인왕산 아래에 세웠던 ‘인경궁(仁慶宮)’의 광정전을 헐어다가 중건한 조선중기의 대표적인 아름다운 목조건물이다. 선정전에서 임금과 신하가 국사를 논할 때에는 사관이 임금의 좌우에서 회의내용을 기록했으며 이를 사초(史草)라고 한다. 사초를 토대로 선왕이 죽은 뒤 새로운 왕이 실록을 편찬하는데 이것이 현재의 조선왕조실록이며 473년간의 분량이 지금도 고스란히 남아 있어 유네스코에 세계기록유산으로 지정되어 있다. 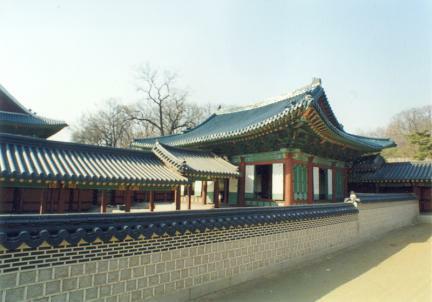 Seonjeongjeon Hall is where kings worked and discussed state affairs with their subjects. 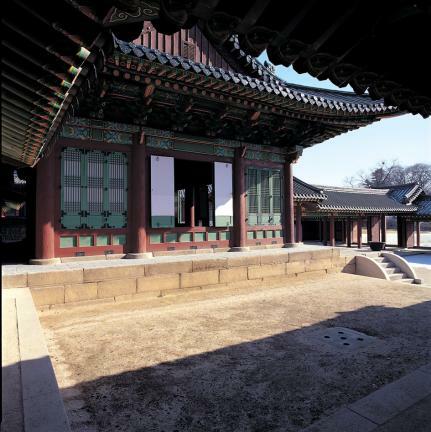 Seonjeongjeon is a small one-story building composed of 3-kan(a unit of measurement referring to the distance between two columns) front space and 3-kan side space. 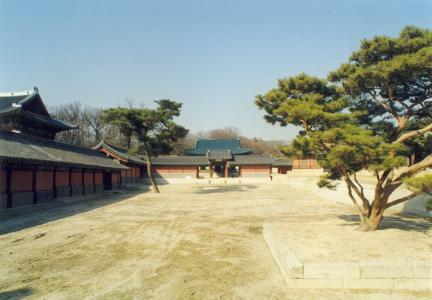 Although it was used as the king's office, the queen occasionally held events here along with the king. 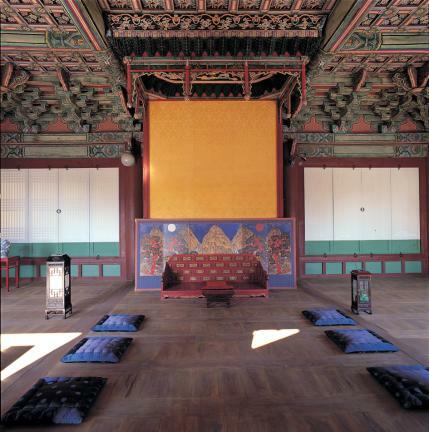 During the reign of King Seongjong, his queen threw parties for the elderly and held events to promote sericulture in the hall. 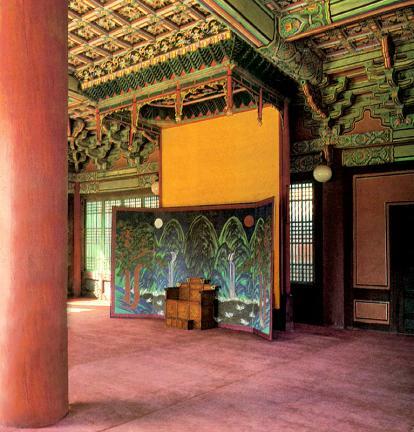 There is no partition wall between the columns of the building, so one can never feel a sense of stuffiness here. 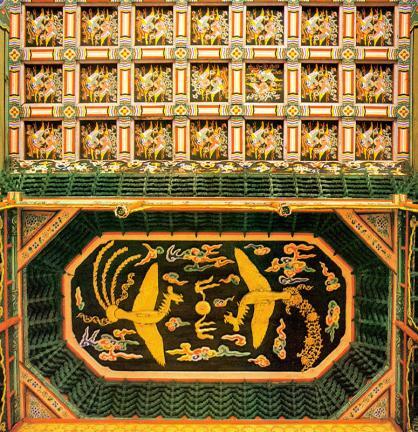 The ceiling is decorated with dancheong (various designs painted in bright colors). 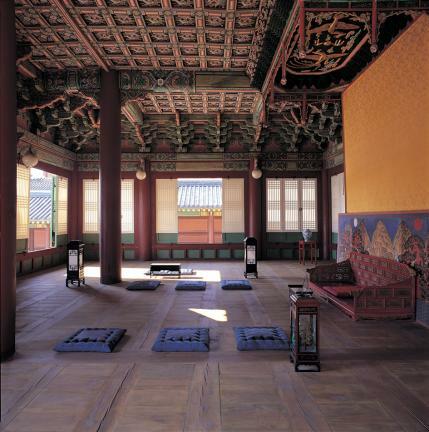 Seonjeongjeon is the only remaining royal building that has a roof of blue glazed tiles though several other palace buildings had been roofed with such tiles before the Japanese Invasion of Korea in 1592. 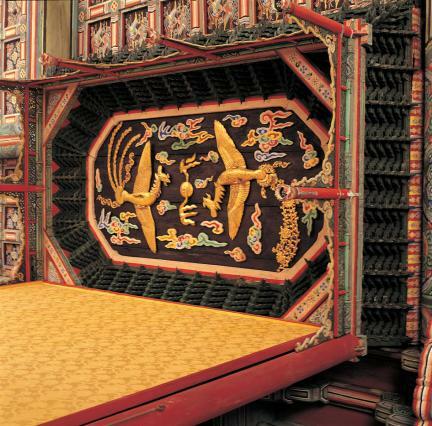 The tiles are similar to those produced in Ganghwado Island by Buddhist Monk Yugyeon. 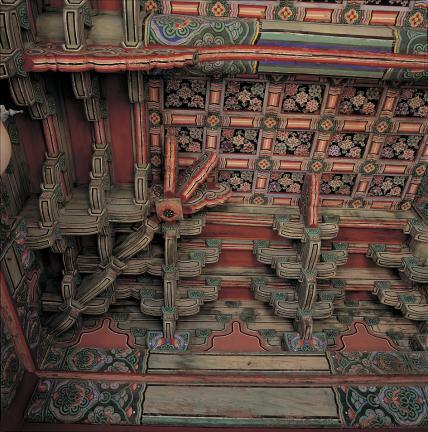 With its unique roof tiles and other building materials relatively well-preserved, Seonjeongjeon Hall is of great value in the study of mid-Joseon architecture.